Monday night’s Sugar Bowl was a clash between two national powers in one of the coolest cities in America coming out of a holiday weekend. And there was hardly anyone there to witness it. 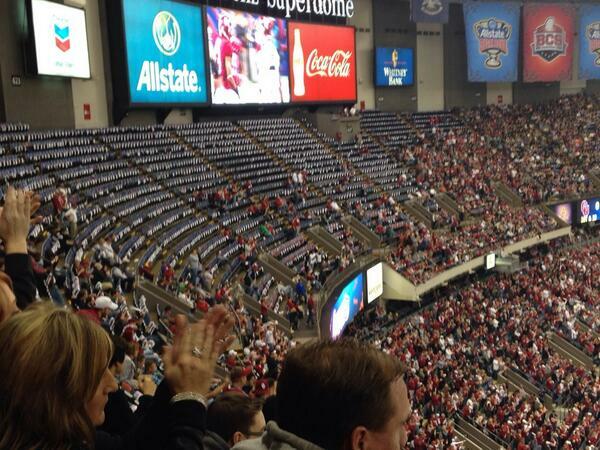 Auburn and Oklahoma drew a crowd of 54,077 at the Superdome for a 35-19 Sooners win on Monday night.